WATERLOO – Acclaimed Canadian author Lawrence Hill will visit Wilfrid Laurier University Jan. 15, where he will interact with students and present a special screening of an episode from the CBC television adaptation of his 2007 novel, The Book of Negroes. Hill will take part in a question-and-answer session with students and guests from 1 p.m. – 2:20 p.m. in the Senate and Board Chamber on Laurier’s Waterloo campus. In the evening, Hill and Clement Virgo, director and co-writer of the CBC adaptation of The Book of Negroes, will host a special screening of the mini-series’ third episode, followed by a discussion period, from 7 p.m. – 9 p.m. in the Bricker Academic Building, room BA101. Hill was born in Newmarket, Ont. to American-immigrant parents – a black father and a white mother – and grew up in the Toronto suburb of Don Mills. His first novel, Some Great Thing, was published in 1992. He has gone on to publish a total of nine books of fiction and non-fiction including the best-selling novel The Book of Negroes, which won several awards such as the Rogers/Writers’ Trust Fiction Prize, both CBC Radio’s Canada Reads and Radio Canada’s Le Combat des livres and The Commonwealth Prize for Best Book. Some of Hill’s other prominent works include: best-selling memoir Black Berry, Sweet Juice: On Being Black and White in Canada (2001), The Deserter’s Tale (2007) and Blood: The Stuff of Life (2013), upon which he drew while delivering the 2013 Massey Lectures. Hill and Virgo co-wrote the CBC’s six-part mini-series version of The Book of Negroes, which debuted on television Jan. 7, 2015. Hill has made several appearances at Laurier, even writing a portion of The Book of Negroes while staying in Laurier’s Lucinda House guest residence. In 2010, Hill was Laurier’s first writer-in-residence, and also received an honorary doctor of letters degree from the university. 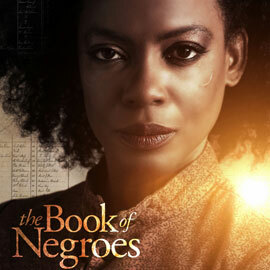 In addition to the viewing of the third episode of CBC’s The Book of Negroes – which will air on television Jan. 21 – the Jan. 15 events at Laurier will offer an opportunity to hear Hill’s perspective on a range of topics including the process of adapting his novel into a screenplay, race issues in Canada and worldwide, his other published works and writing in general. Both events will be free and open to the public; however, there is limited capacity in both rooms. Laurier’s Faculty of Arts and associate vice-president of Teaching and Learning are co-sponsoring the event.